Saw one at a dealership when I was visiting FL ... too flat for me .. Suzuki color. I was really expecting a richer yellow with a white pearl coat on it to repesent the actual "jolt." 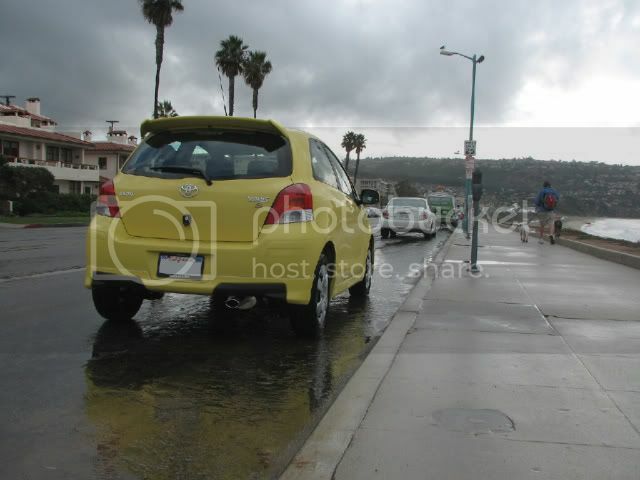 Drives: 2009 Yaris LB "Bubbles"
Looks a little like the Hyundai Accent yellow. It's like a "pastel" yellow which I love. 2009 Absolutely Red LB. "Bubbles"
This is the time of year to have this color! 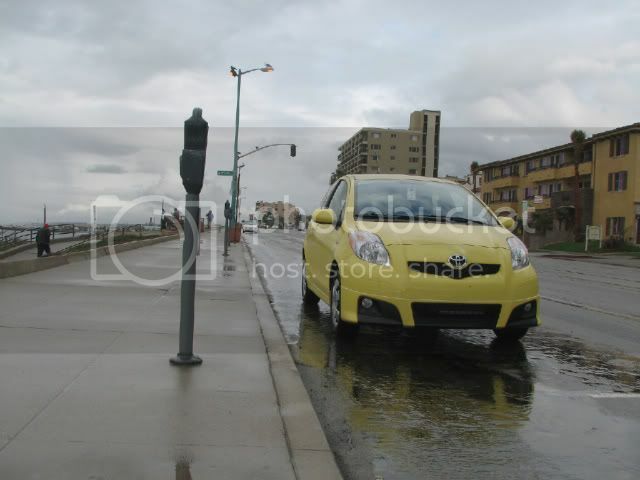 Every other color of car turns yellow from the coating of pollen. Nice! 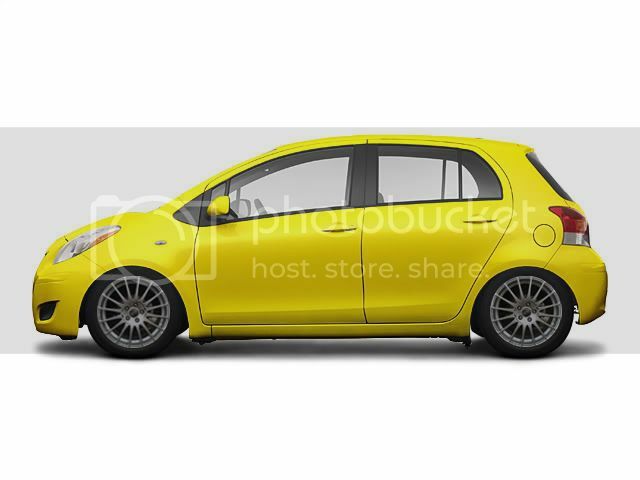 I'd totally rock a Jolt Yellow Yaris. be the first one to MOD it! Gliderboy - that is sharp. Wish Canada got that colour. Question for you. Why does your 'S' have hubcaps? Still would drive it just cause it screams attention. 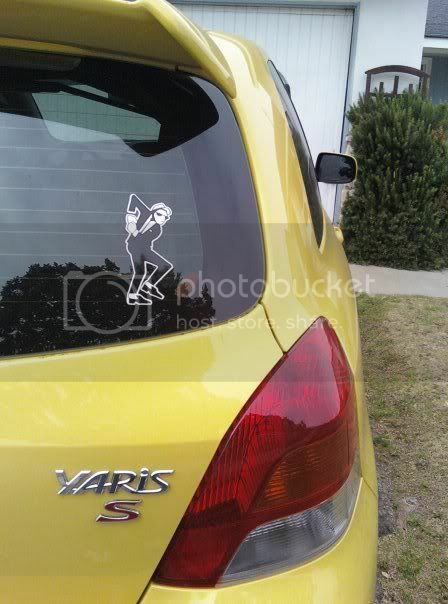 Is that a Yaris sedan in the background? Drives: Poor with a nice bicycle. Hey guys, been reading the forums for a couple weeks now. 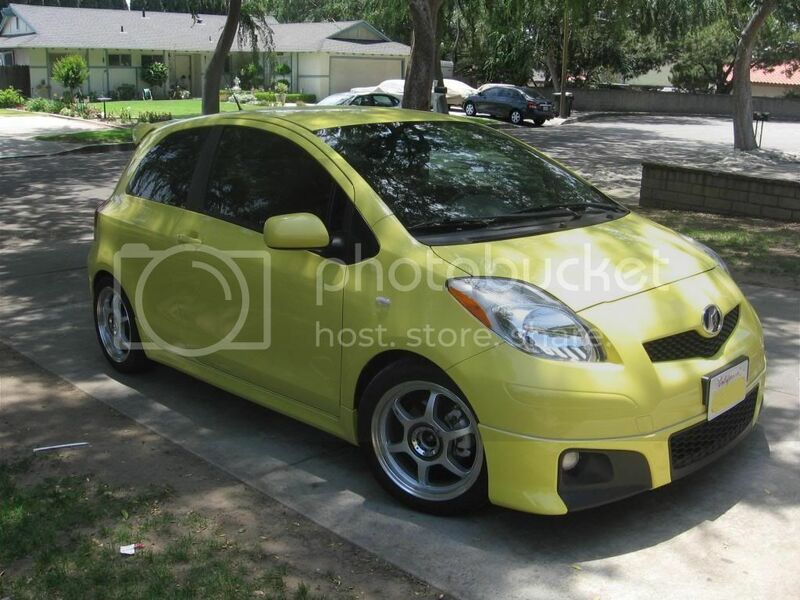 I'll be buying my Yellow Jolt Yaris tomorrow morning! Will post photos once it's home! It's too pastel for me.....I like Sunburst Yellow better....mazda color...color looks exactly like Thirty-Nine's photoshop rendering. Whoa am I late to post on this thread. My apologies, as I haven't been on Yarisworld for a while....school and work has been keeping me absurdly busy. Anyway, for those of you that met me at the December meet...I'm not gone! Don't worry! I'm Erin. I got my Jolt S back at the end of November. Haven't done much to it yet, other than tint the windows and install my navi system (which is a never ending battle...that damn thing still isn't installed correctly, I think I need a new wiring harness). Oh, and I took those hideous hub caps off...I'm rollin' on steelies. I'm glad to see there are other Jolts on the forum, now!